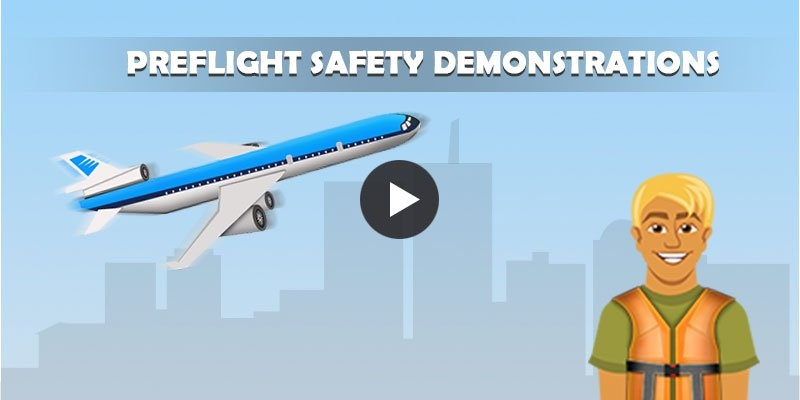 This week’s e-learning challenge is to come up with an interaction on airline safety training. After reading through and watching few videos, it is clear that flying can be exciting but sometimes it might also turn risky. Things being so unpredictable these days, it is highly preferable to be cautious and give attention to knowledge that keeps us safe. Preflight safety demonstration helps passengers to be alert in emergencies and enables to act quickly without much confusion. To make the interaction a bit unique, we intended to show the flight’s condition and ask learners to observe and chose the right option to help his/her buddy. Putting the flight on its way, we have shown four different conditions into which it takes off. Besides, we put the buddy in the flight and had some space with options for learners to chose from. This interaction enabling learners to test themselves in flight safety tips and help their buddy exit safe is built in articulate storyline.